The industrial development market continues to evolve and we’ve seen building clear heights continue to grow taller over the last 30 years. In the 1970s most buildings were built with a 20’ clear height or fewer. Today, the big question developers of big box space are facing is: do you build a 32’ clear or 36’ clear building and what is the cost/benefit analysis of doing so? And what is the size threshold where tenant demand drives the need for a 36’ clear building? The below highlights the benefits tenants will receive through a taller clear height and what the impact is on cost. 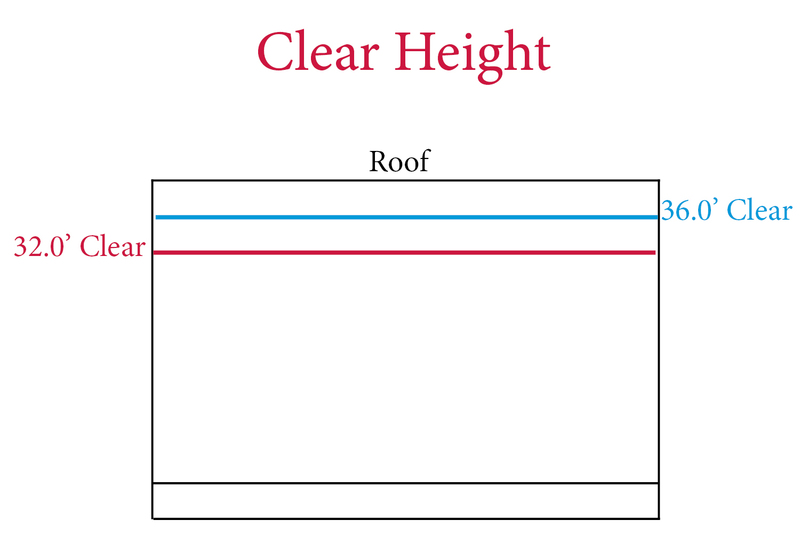 Clear Height – Distance from the floor to the lowest-hanging ceiling member or hanging objects, beams, joists or truss work descending down into a substantial portion of the industrial work area. 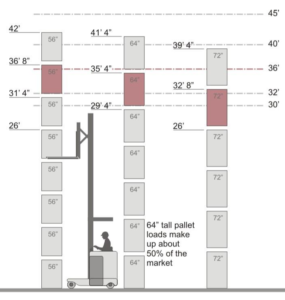 This is the most important measure of the interior height of an industrial building because it defines the minimum height of usable space within the structure. (Synonyms: clear headway, clearance), as stated by NAIOP. For a user that will fully “cube out” the building, they can increase storage capacity by 10 % to 25%. Increasing the storage capacity allows tenants to lease less square footage and reduce their overall rent expense. A taller clear height is more conducive for e-commerce users with automated racking and/or mezzanine storage needs. The main cost factors in constructing a 36’ clear building are the floor slab thickness, fire protection system and the structural steel. In total, these three items will increase the building costs somewhere between $1.25 per square foot and $1.75 per square foot. Due to the increased construction cost for a 36’ clear building, to keep the cap rate the same the rental rate would need to increase by $0.10 – $0.15 psf. Not all users will demand a 36’ clear height. From the available small sampling to date, the investment market is not recognizing a huge difference on a cap rate basis between a 32’ clear and 36’ clear building. Term, credit, location and long term functionality of the building are still the main drivers in establishing value. 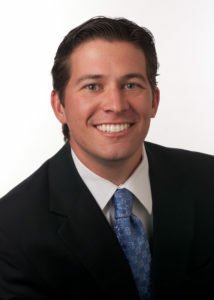 Reid Bassinger, a Principal with Lee & Associates DFW, represents owners and users of industrial properties throughout the Dallas/Fort Worth area. Mr. Bassinger specializes in industrial product in the Great Southwest and Fort Worth markets with a primary focus on tenant representation, project leasing and investment sales. To read more about Reid visit our website.